Popular wagon rides end Saturday. 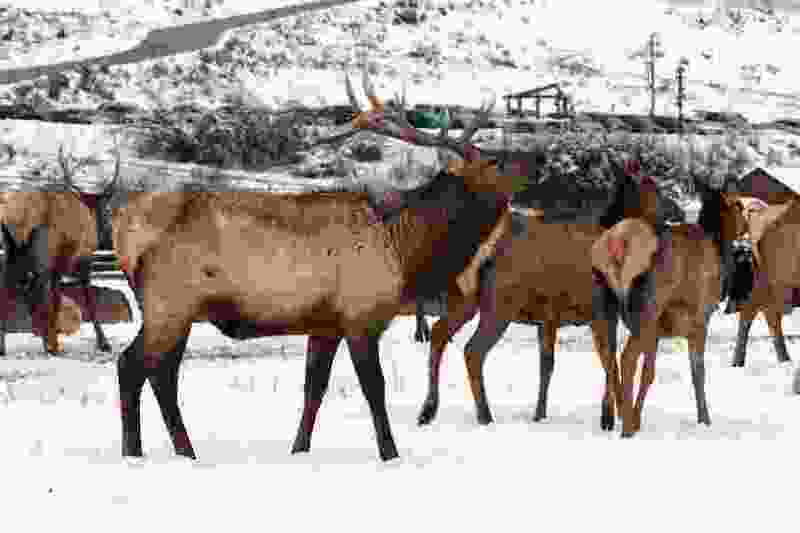 (Utah Division of Wildlife Resources) The state is cancelling its popular elk-viewing wagon rides at Hardware Ranch in Cache County earlier than usual. Unseasonably warm winter temperatures have enticed the elk out of the ranch meadows and up to the hills. Utah’s warm winter has forced the state’s popular elk-viewing wagon rides in Hyrum to close this weekend as the Hardware Ranch elk herd heads to the hills weeks earlier than usual. Wagon rides through the meadows of the Hardware Ranch Wildlife Management Area will end Saturday, Feb. 10, according to the state Division of Wildlife Resources. Rides had been scheduled to continue until Feb. 26. Only 90 elk in the herd of 700 remained in the meadows as of this week, said Hardware Ranch WMA manager Brad Hunt. That usually doesn’t happen until March, he said in a news statement. (Courtesy Utah Division of Wildlife Resources) DWR managers have decided to end wagon rides at the Hardware Ranch WMA early this year. 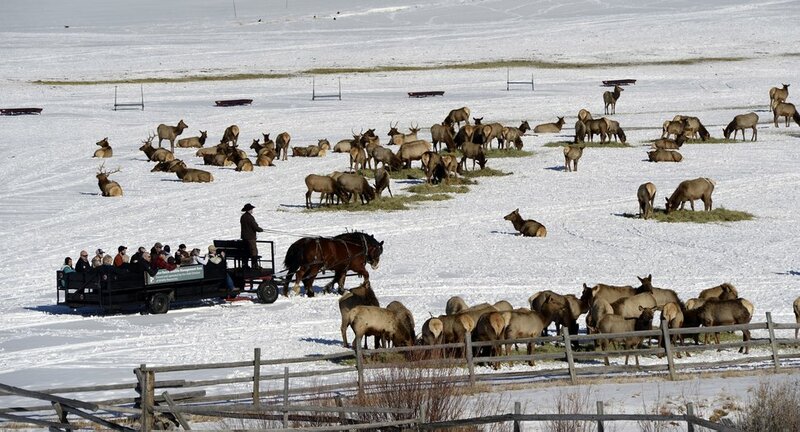 Feb. 9 and Feb. 10 are the last days to take a wagon ride through the few elk that are still at the ranch. 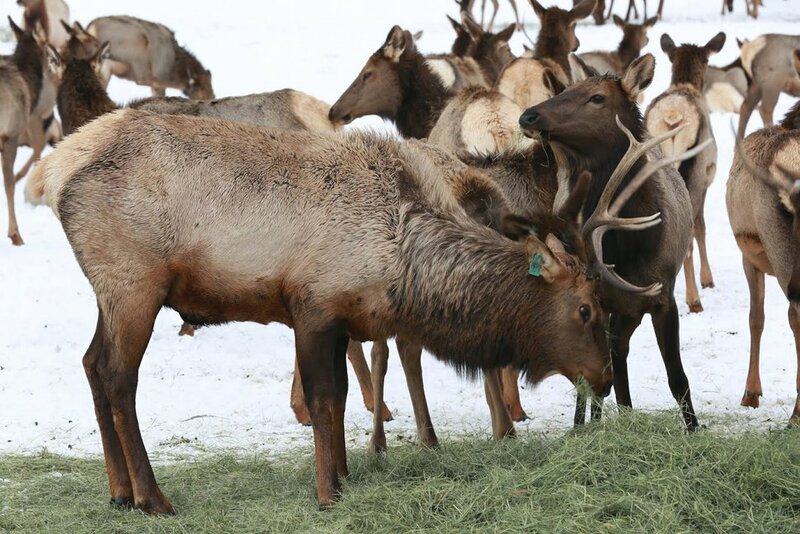 State wildlife managers grow hay in the meadow in summer and harvest it to feed elk in winter to keep the herd from foraging in Cache County’s farms and neighborhoods. With unseasonably warm temperatures expected to continue for the foreseeable future, there probably won’t be more elk to see this season, Hunt said. Meanwhile, the meadow — at 6,300 feet elevation in the mountains of northern Utah — has lost the protection of snow. The wagon rides, which typically draw 30,000 visitors each winter are the latest casualty of a winter that weather scientists say is one of the warmest ever in Utah. (Francisco Kjolseth | Tribune File Photo) Hugh Jenkins is helped along by Clydesdales at Hardware Ranch Wildlife Management Area in Blacksmith Fork Canyon as he takes visitors on a ride among 500 elk in a past year. Last weekend, the state announced it was cancelling its annual ice fishing tournament at central Utah’s Fish Lake because the ice was not thick enough for the anticipated crowd of 2,000 anglers. The lake is at nearly 8,900 feet elevation. One day after that cancellation, the Midway Ice Castles in Wasatch County closed for the season; during its month-long run this year, it occasionally cancelled daytime tours because of high temperatures. At nearby Soldier Hollow, thin snow conspired with snowmaking malfunctions to force some Nordic skiing events to cancel or change venues. This winter is the second warmest since scientists in Salt Lake City began recording temperatures in 1874, according to the National Weather Service. BYU-Idaho students protest for changes to Honor Code enforcement. School officials decline to talk.